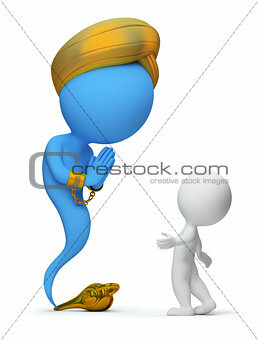 Image Description: 3d small people and the jinn appeared from a magic lamp. 3d image. Isolated white background.